With a burning passion and interest in solar power, David Kelly marked his entry into the solar industry in 2001 when he installed a 600 watt solar photovoltaic (PV) system on his own home. The solar PV system on his roof was the third grid tied solar PV system in Alberta. David then progressed to designing and installing many solar thermal and photovoltaic systems all over Canada. He saw a future in solar PV systems and was convinced it would be a growth industry that would not only be environmentally beneficial but also cost competitive with grid power. He turned that solar dream into a reality when he formed SkyFire Energy Inc with Tim Schulhauser and David Vonesch. David Kelly has been a leader in the solar industry for more than a decade. He has served four terms on the board of the Canadian Solar Industries Association (CanSIA) and is currently the past Chair of CanSIA. He also sat on the board of Solar Energy Society of Alberta (SESA)for three years. David regularly speaks at solar events across Canada. He received his Mechanical Engineering degree from the University of Waterloo in 1989. Tim was born in Regina and raised in Saskatoon where his family still has roots today. Over the past decade, Tim Schulhauser has designed, installed and commissioned hundreds of solar PV systems across Canada. Tim led the construction of the groundbreaking 1.05 MW SunMine solar farm in Kimberley, BC, Western Canada’s first utility-scale solar farm. Tim sat on the board (2001-2018) of Light Up The World (LUTW), a Canadian non-profit organization focused on implementing projects that provide sustainable energy solutions and lighting to remote communities in the developing world. Back in 2013, Tim travelled to Peru with LUTW to train seven local technicians and worked with them to install a solar PV system for an educational centre in the Peruvian Amazon community of Nueva York. Tim received his Mechanical Engineering degree from University of Saskatchewan in 2000 and became a Certified Photovoltaic Technician (Seneca College/CanSIA) in 2007. Tim also completed an MBA at the University of Calgary Haskayne School of Business in 2012. David Vonesch has worked on hundreds of solar projects across Canada. David recently led the design and construction of a 2 MW solar farm East of Calgary which is Alberta’s first utility scale solar PV system and the largest system in Western Canada. David serves as the board chair of SPARK, Alberta’s first member-owned retail power co-operative focused on renewable energy development. David is a Professional Engineer (University of Alberta) and a CanSIA/Seneca College Certified Photovoltaic Technician. As a volunteer with the non-profit Light up the World, David spent three weeks training local technicians and assisting in the installation of six solar electric systems in remote areas of the Peruvian Amazon. Landon was born and raised in British Columbia. Growing up in a family with Construction and Real Estate focused parents led Landon to BCIT's Building Technology program and an early career in Construction Management. Spending time living and working in California gave Landon much exposure to a rapidly expanding green building and solar industry. In 2005, Landon co-founded Terratek Energy on Vancouver Island. Landon and his business partner grew Terratek Energy to be one of the largest and most experienced solar contractors in British Columbia. Over the last 13 years, Landon has designed, installed and commissioned hundreds of solar PV systems in British Columbia and is happy to now be a Partner and Director of Operations for SkyFire in BC. Landon feels fortunate to be able to live, work and play in the beautiful Okanagan Valley. Greg has a long-standing passion for renewable energy dating back to 2001, following a career working in oil & gas exploration. In 2007, Greg earned his Masters of Environmental Design (Planning) degree from the University of Calgary where he completed a thesis (“Energy As If People Mattered”). Greg went on to work in socio-economic and environmental consulting in Calgary prior to entering local government as a Planner. Having worked with and for local governments including cities, counties and regional districts in both Alberta and British Columbia, Greg has an in-depth understanding of their policies and regulatory processes. As of 2016, Greg brings this planning background to SkyFire. Greg is also currently pursuing the Solar Business & Technical Sales Certificate through Colorado-based Solar Energy International. Greg is a past volunteer with Habitat for Humanity, including a build in Vietnam with Habitat’s “Global Village” initiative. Krista Crawford joined SkyFire Energy in accounting in May of 2014. 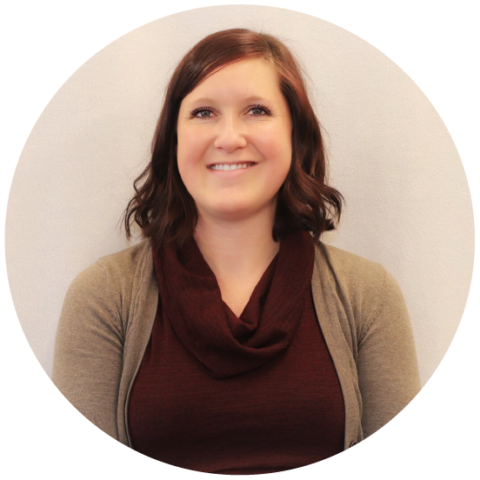 Krista has a Bachelor of Science in Biology from the University of Alberta (2010) and has also obtained her CPA designation. Krista is thrilled to be contributing to an industry that provides clean, sustainable energy and is excited about the great potential solar energy brings to Western Canada.